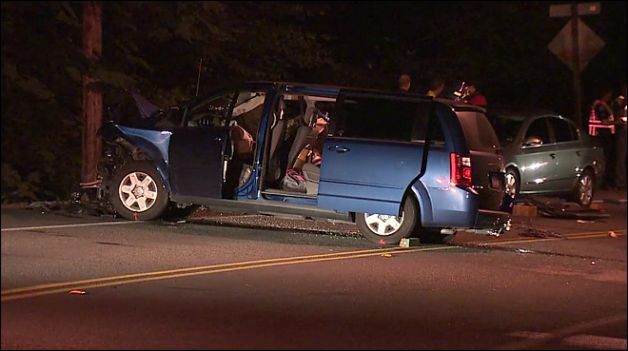 A fatal wrong-way car accident in Kirkland Tuesday night left one dead and four others injured, according to reports from Kirkland police. Police say 41-year-old Kelly Hudson was driving her minivan on Juanita Drive Northeast near the 12000 block at approximately 9 p.m. when she veered into the left lane and crashed into an oncoming vehicle, which had four people inside. Reports indicate that 81-year-old Joyce Parsons of Kirkland was killed and her brother, Arthur Kamm of Bellevue. Two others and Hudson were also injured in the crash and were taken to the hospital. Hudson was the sole occupant of the minivan and appeared to be intoxicated at the scene of the crash when authorities arrived on scene. She was arrested for investigation of vehicular homicide following her release from Harborview Medical Center. According to Kirkland police, a witness behind Hudson’s vehicle had called 911 to report a possible drunk driver. The caller was still speaking with the emergency dispatcher when the crash occurred. The drunk driving accident attorneys at Davis Law Group help impaired driving collision victims get financial compensation for their injuries and lost wages. We work closely with the criminal prosecutor to make sure that all avenues, both criminal and civil, are being pursued. If you have been the victim of a drunk driver, contact Davis Law Group at 206-727-4000.